2018 Shenzhen Open is excited to announce that Andy Murray, the three-time Grand Slam Champion, two-time Olympic Gold Medalist, and former World Number One, will play in the tournament. Shenzhen Open, which is held from 22nd to 30th September, will be Murray’s first stop of his Asian Swing. This will be the second time for the former champion to be in Longgang Sports Center. In 2014, when the first Shenzhen Open was held, Andy saved five match points and eventually defeated Tommy Robredo and held the trophy. 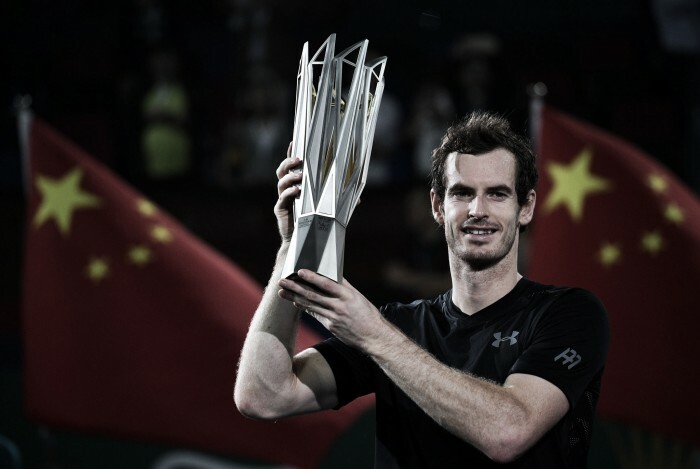 Starting from this huge victory, Andy Murray won the Beijing and Shanghai and made his first Finals Champion in London, which helped him reach the world number one at that time. This is the fifth year for Shenzhen Open supported by Culture, Sports and Tourism Administration of Shenzhen Municipality, Longgang Culture, Sports and Tourism Bureau, Shenzhen Gemdale Sports, Kaisa Group. With the great support of Emirates, Fed Ex, Suez, and Head, the event will definitely bring a better experience to all the fans in Shenzhen Longgang Sports Center in September this year!